A loan of $875 helped to buy 8 bags of rice, condiments, 35 cases of soft drinks, 30 cases of beer, and 5 plates of peanut paste, as well as save money to ensure her children's education. Pauline is the mother of six children; the eldest is 16 and the youngest is 2 years old, and four of them attend school. She works in the restaurant industry in a neighborhood of the city where she opened a bar/restaurant one year ago. There, she makes meals for lunch and sells drinks. Pauline's business is doing well, but her stock of supplies is insufficient and isn't allowing her to grow the business. She is therefore requesting this loan to buy 8 bags of rice, condiments, 35 cases of soft drinks, 30 cases of beer, and 5 plates of peanut paste to respond to her customers' needs. She plans to use the profits to grow her business and save money to ensure her children's education. Translated from French by Kiva volunteer Eva Nichols. View original language description. Pauline est mère de 6 enfants dont le plus âgée a 16 ans et le moins âgée à 2 ans et 4 d’entre eux vont à l'école. Elle fait de la restauration dans un quartier de la ville où elle a ouvert un bar restaurant depuis 01 an. Elle y fait des repas pour le déjeuner et vend des boissons. Son activité se déroule bien mais, son stock de commerce est insuffisant et ne lui permet pas de s'épanouir dans son commerce. Elle sollicite donc ce prêt pour acheter 8 sacs de riz, des condiments, 35 cassiers de sucrerie et 30 cassiers de bière et 5 plat de patte d’arachides pour répondre à la demande de sa clientèle. Elle compte utiliser ses bénéfices pour agrandir son commerce et épargner pour assurer l’éducation de ses enfants. It helps borrowers access financial services on flexible terms with no collateral requirements. This loan is part of an effort to provide financing to vulnerable and marginalized populations in Burkina Faso. This loan helps such communities purchase small equipment and working capital, agricultural inputs and livestock. This loan does not require collateral nor group guarantees in order to protect its most vulnerable clients. By supporting this loan, you are helping promote financial inclusion for Burkina Faso’s vulnerable and marginalized populations. 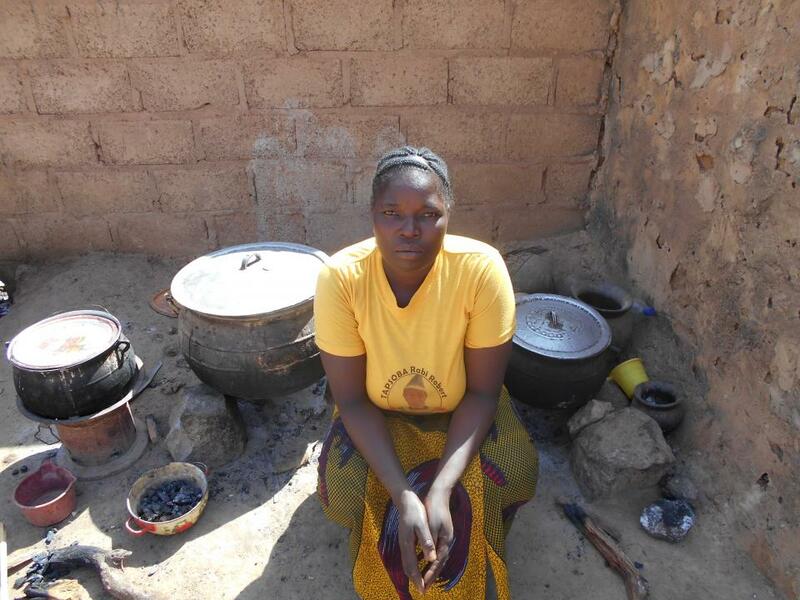 Yikri is a microfinance institution based in Burkina Faso that serves vulnerable communities. Kiva financing will go towards Yikri’s work to bring about economic opportunities to underserved vulnerable populations in Burkina Faso, who would otherwise not have access to formal capital. Kiva supports Yikri’s work to bring about economic opportunities to vulnerable populations in Burkina Faso who would otherwise not have access to formal capital.